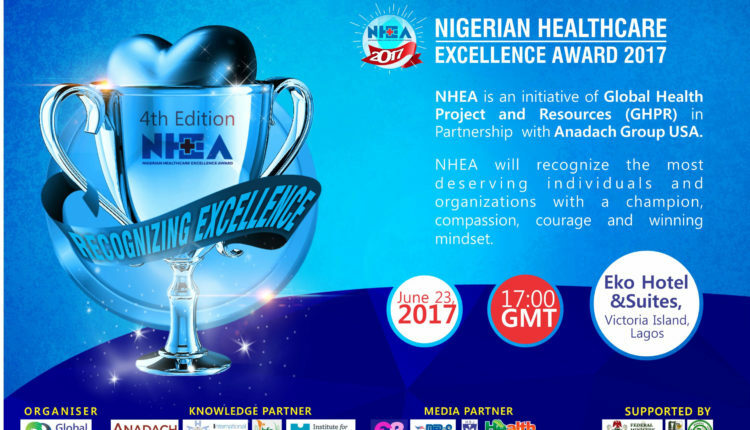 The Nigerian Healthcare Excellence Awards (NHEA) has nominated Aminu Kano Teaching Hospital (AKTH), Lagos State University Teaching Hospital (LASUTH), Sterling Bank, St. Nicholas and over 100 other healthcare organisations and individuals for the 4th edition of the Award. Other nominees include; Sokoto State Trauma Centre, Kaduna PHC under One Roof, GE, Diamond Bank, Swiss Biostadt, JNCI, Pathcare, Clinix, Lagoon, Medplus Pharmacy, Total Health Trust, Hygeia, Smile 360 Dental, Renal Dialysis , Sproxil, Bridge Clinic, Nordica Fertility, Kidney Solutions, Eye Foundation, DCL Laboratory, OmniVision, Mogbonju, Healthplus, Channels TV, TVC, Lily Hospital, Reddington, Zankli, Medicaid Radio, view Radiology, Total Health Trust, St Ives Hospitals, Nisa Premier Hospital, Zenith Medical & Kidney Centre, BeaconHill, Ageless Physiotherapy, Body Mechanism Physiotherapy & Wellness Centre, WellPath Physiotherapy, LASUTH, UCH, Mopheth, Emzor, Mopson Pharmaceuticals, Armpersand Logistics, Mobicure, SaferMom, PPC Limited, Darlez, etc. 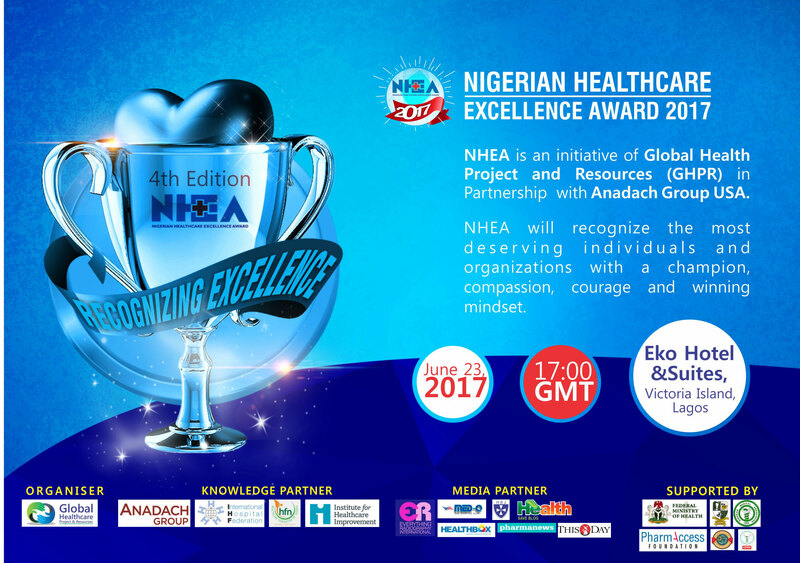 The award is aimed at recognizing and celebrating the achievements of personalities and organizations who have contributed immensely to the growth and development of the Nigerian health sector. In addition, it will recognize the rapid growth of Nigeria’s Healthcare sector, the role of Technology and the capacity of organizations and individuals to influence and set new performance standards in Nigeria and beyond. NHEA, the Oscar of Nigeria healthcare is supported by PharmAccess Foundation. The award is organized by Global Health Project and Resources (GHPR) in collaboration with Anadach Group, USA.